Novak Djokovic will seek his fourth Sony Open title in Miami when he headlines the Friday day session on March 21, 2014. The tournament draw will take place on March 17 at which point Djokovic’s opponent in his opening match will be revealed. Last year Djokovic was bounced from the tournament by Tommy Haas preventing him from winning three straight Sony Open titles. Wins in Miami have led to multiple title wins during the ATP calendar year for Djokovic so there is no doubt that he will be eager to bag another title at the Crandon Park Tennis Center. 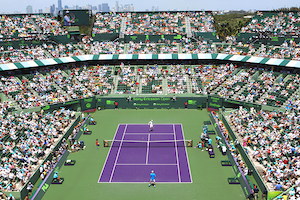 MIAMI, Fla. (www.sonyopentennis.com) – Friday, March 21 will get even hotter in Miami when World No. 2 Novak Djokovic returns to the court in a quest to claim his fourth Sony Open title. Djokovic’s opponent will be revealed on Monday, March 17 when the rest of the men’s main draw is announced. 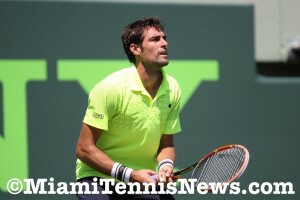 The 30th edition of the Sony Open runs March 17-30 at the Crandon Park Tennis Center. Djokovic, who will play during Friday’s day session, joins an already star-studded Men’s field for the opening weekend as World No. 1 Rafael Nadal is scheduled to play Saturday night, March 22. Tickets for all the weekend matches, including the Djokovic and Nadal matches, can be secured by purchasing an Opening Weekend package starting at one low price of $202 (a 28% savings off the regular ticket price). 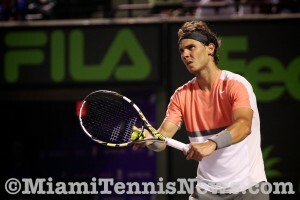 Individual and package tickets can be purchased online at www.SonyOpenTennis.com or by phone at 305-442-3367. 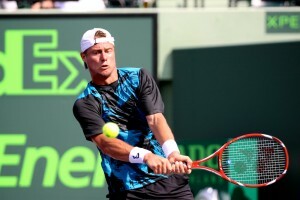 In 2007, the Serbian star became the youngest male to win the tournament at 19, when he made a thrilling run in Miami. Capturing a fourth Sony Open trophy this year will move the six-time Grand Slam winner into second-all time behind Andre Agassi (6) for most Miami titles. The road to the Butch Buchholz trophy won’t be easy. The men’s main draw includes World No. 1 Nadal, 17-time Grand Slam winner Roger Federer, defending Sony Open champ Andy Murray and a host of others.